/ Ep 153: Why Can’t I Stick to My Diet? Ep 153: Why Can’t I Stick to My Diet? Struggling to stay on track with that New Year's Resolution or want to avoid giving up on yours come February? 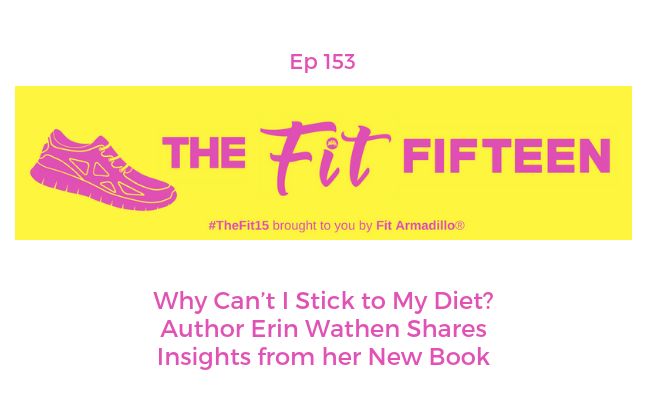 Today's guest, Erin Wathen, shares insights to help you get to the bottom of why you might really be struggling to reach your goals. While she helps answer the question "Why Can’t I Stick to My Diet?," which is also the title of her newly released book, her advice will help you even if you aren't working on a food related goal. As a graduate of the Institute for Integrative Nutrition and a Food Addiction Counselor, Certified Spinning® Instructor, Vinyasa Yoga instructor, and Classical Pilates instructor, Erin definitely has lots of qualifications, but she also struggled to find success through dieting. Several years ago, Erin was not at peace with her body -- despite her wealth of knowledge on diet and exercise. She was always on a diet, and yet never reached her goal weight. Through a lot of trial and error, Erin found true nutrition to be the missing piece of the puzzle. It was then that Erin started her last diet, which ultimately became her food plan and the basis of her health coaching program, as well as her book Why Can’t I Stick to My Diet? : How To End The Food Drama. Her philosophy, simply put: Health isn’t a number on the scale or how often we exercise, but our lives as a whole. 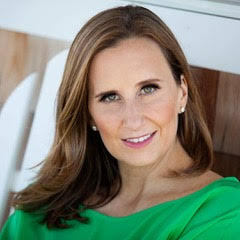 Erin Wathen is a holistic health coach, food abuse counselor, and the inspiring author of Why Can’t I Stick to My Diet? : How To End The Food Drama. Her philosophy, simply put: Health isn’t a number on the scale or how often we exercise, but our lives as a whole. and error, Erin found true nutrition to be the missing piece of the puzzle.